Before writing this post I made ​​a little research. I came out to me that it is not so easy to arrange remote access through the web browser to your own workstation. There are various solutions, for the most demanding installation of the server and the client. The closest solution to this which I will describe here, is probably “Microsoft Remote Desktop Web Access”, but it is a feature of Microsoft Server. 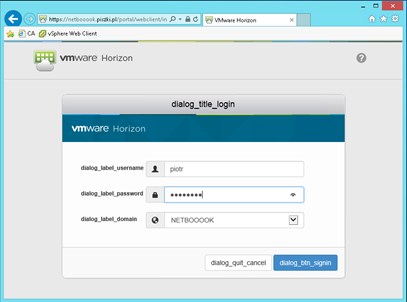 And now we have a premiered VMware Horizon 6 with View, and with it a novelty, Horizon View HTML Access. Under this name hides the BLAST protocol, which until now has been part of Horizon View Connection Server and which allow holders of View infrastructure comfortable working on workstations from anywhere via a web browser. 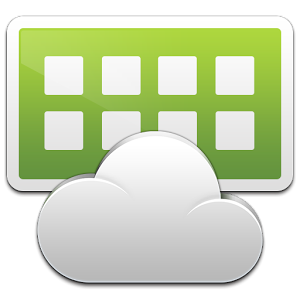 Today has been separated out (View construction has become more modular), installation and configuration is not simple (but also without exaggeration), but its completion will allow us, for free, enjoy remote access to the desktop. I write it for free, of course, you first need to download Horizon 6 with View the 60 day license, but Direct Connect itself does not require installed and valid license. Besides, VMware has a very liberal attitude to the “Home Lab” and does not make the problems people gaining experience in the field of their products. SSL certificate can be anything, as long supported the extension “server authentication” and had a friendly name vdm (add it themselves). This certificate will be used by the web server to display the console of your computer over HTTPS. In the absence of a certificate, you must generate and import it. Here I can only recommend my script CA (requires Linux) or find appropriate tutorial over Internet (or purchase it (example) on the RapidSSL). Then restart the service VMware Blast (or the entire computer if you prefer). If after restart SslHash changed (and log c:\ProgramData\VMware Blast\Blast-Worker.log see the message: Unable to load the private key from the certificate), this means that the private key is not marked as exportable! If everything worked out, we have a coherent certificates in IIS and BLAST. If there are any additional questions I will be glad to answer.